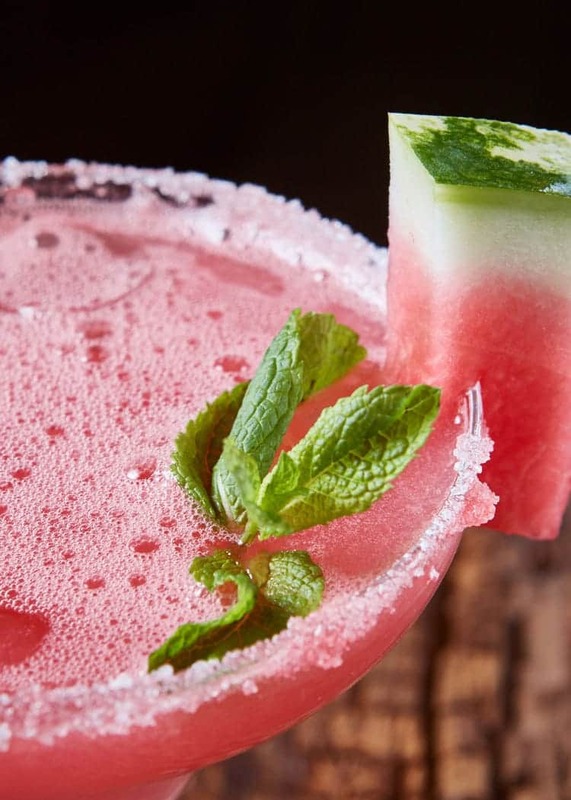 Are you looking for the perfect watermelon tequila cocktail? Look no further, because this tequila watermelon drink is SO good! 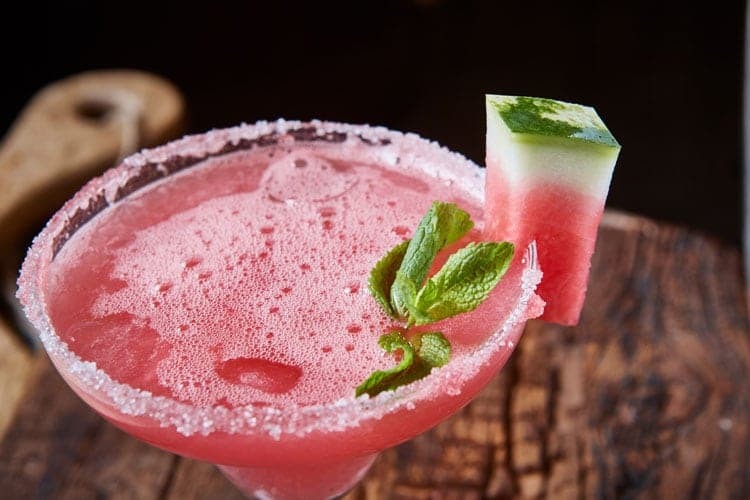 Watermelon is such a refreshing fruit, and it is equally enjoyable in a tasty drink. And if you love watermelon as much as we do, try these tasty watermelon recipes: Watermelon Summer Salad, Watermelon Cherry Rum Cocktail, and our classic Watermelon Margarita Recipe. 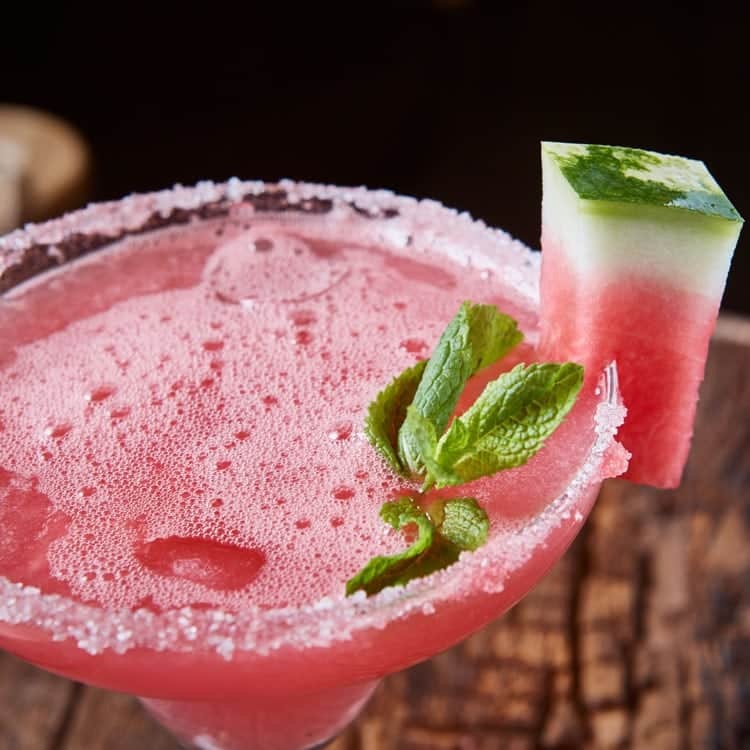 The flavors in this watermelon margarita are a bit of a happy accident. We’re talking watermelon and tequila combined into a perfect watermelon tequila drink. Normally, we’d just use a basic simple syrup to lightly sweeten the concoction, but in this case we used had some lemongrass and ginger simple syrup that we like to have on hand from making a homemade “gourmet” lemonade. We tried it and loved the results. However, we ended up removing the lemongrass from the final recipe so that the ginger could take center stage. Simple Watermelon Margarita recipe perfect for serving for cocktail hour or for your favorite party drink. This alcoholic drink is a crowd-pleaser. To line the rim of the margarita glasses, grind some coarse Himalayan salt in a coffee grinder or blender. (It will get dusty). Add the ground salt and chili pepper (if desired) to a shallow plate. Then, moisten the outside rim of each glass with a piece of fruit. Turn the glass at a 45-degree angle and roll it around in the salt or salt mixture on the plate. Use a damp paper towel to tidy up the bottom edge so you have a nice line. Adding the salt to the outer edge only will prevent it from getting into your drink and affecting its taste. To make the ginger simple syrup, add 1 cup water and 1 cup white sugar to a medium saucepan. Peel a 3” piece of fresh ginger and chop into small pieces before adding the pan. The smaller you cut each piece, the more surface area you will expose to the boiling sugar mixture. Bring mixture to a boil, then reduce heat. Simmer for 30 minutes. Remove from heat and allow to cool. Place all ingredients except the simple syrup into a blender. Blend on high until pulverized. Pour into a small testing glass to taste. Adjust ingredients to balance the flavors to your liking. If needed, drizzle some simple syrup into the blender and blend until you reach the desired sweetness. Pour into prepared margarita glasses and serve immediately.